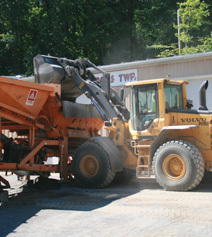 Hammaker East manufactures various cold mix asphalts to service any resurfacing project. Cold mix asphalt is produced in portable asphalt plants on the job site and are designed to work well at ambient temperatures. We also offer a zero-solvent, green, cold mix asphalt to meet today’s environmental concerns. In addition cold mix asphalt, we offer a variety of dust palliatives including our popular E-1 Prime. This emulsified asphalt is applied by a spray application through a distributor truck, and gives adhesion and binding to granular material prior to the installation of an asphalt layer.